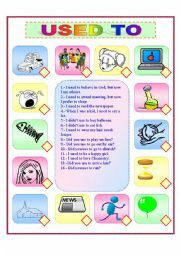 This worksheet works for role play activities and dialogues. One student is the aplicant and other the interviewer. Hope you like it! Thanks for the template. Ss have to read the sentence and make a suitable question. Enjoy! 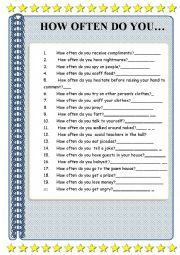 This worksheet can be used for pair work, find someone who or speaking practice. Ss have to say sentences using frequency adverbs and learn new vocabulary of weird things. Hope will be useful! It�s a boardgame about the modal should in past. Ss have to read the sentence and give an advice in past. Thanks to jecika for the template. Ss will role play a fortune teller and a client. 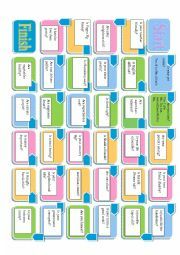 It is a boardgame for elementary students. Ss have to answer the verb to be questions. Thanks Jesika for the template. Hope you like it! 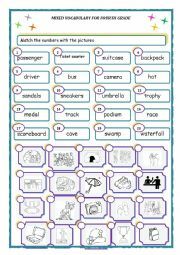 It�s a wonderful worksheet to use as a review of the vocabulary. 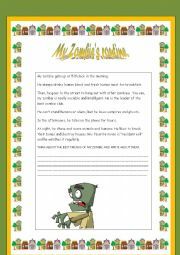 It�s a reading worksheet to give the students an idea how to write a routine for a cartoon character. Thanks for the template. Enjoy it! 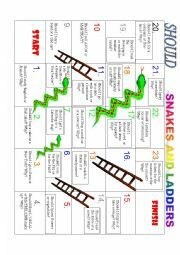 It has vocabulary about jobs and some other amusing topics. It�s aimed for teenagers and adults. 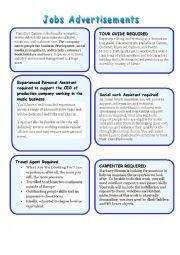 The template is from other esl printable member. Thanks and enjoy! Ss will learn how to describe a pet. Ss will write about their own pet. hope it will be useful! 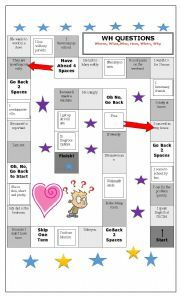 Ss can play by making sentences using the given noun in the boardgame. 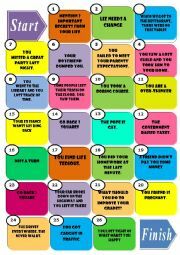 It�s a presentation where students have to say the correct preposition for the sentence. They choose a number and if they are lucky they pass. After each slide go back to presentation one. Thanks to hachau for the template. Enjoy!